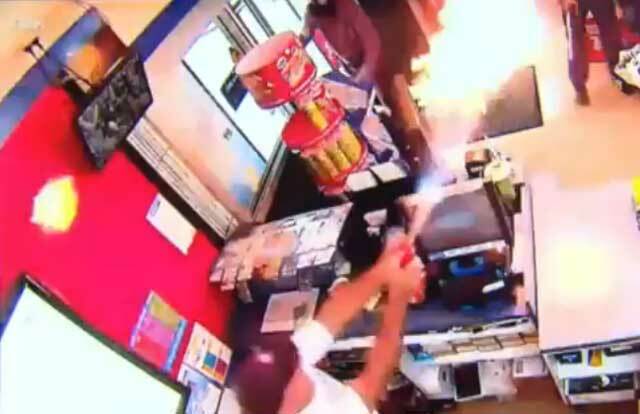 A quick-thinking store owner in Redland City, Queensland, Australia, launched an attack against two armed robbers with the help of an improvised flamethrower early on Saturday morning. 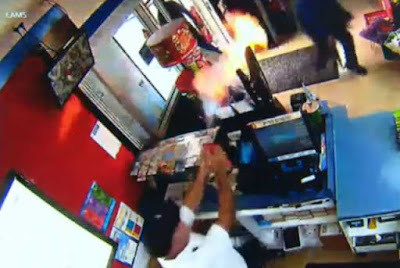 CCTV video shows the moment Alexandra Hills shop owner Dan Rigney defended himself against two armed men using insect spray and a lighter. Blasting the bandits with flames, Mr Rigney managed to send the intruders into temporary retreat, one making for the door while the other fell backwards, dropping one of his weapons. 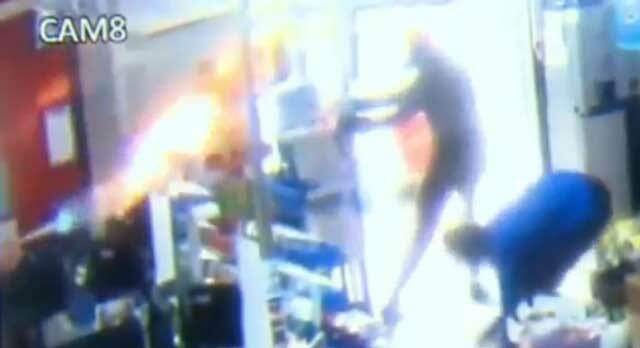 LiveLeak link. Original news video. The second attacker, recovering, is then seen standing and aiming his gun directly at Mr Rigney, shouting threats and moving for the cash register. Mr Rigney took the opportunity to flee while the robbers laid aside their weapons and began raiding the till before fleeing with a total of $680. Police are hunting for the attackers. Back in college (1970-74) the preferred weapon was hairspray and a match. Great ideas (sic!) never die.